← EU-Mauritius Transfer Agreement at Risk? During the period of 2013 – 2014 I completed an LLM looking at different aspects of international law surrounding Somalia. 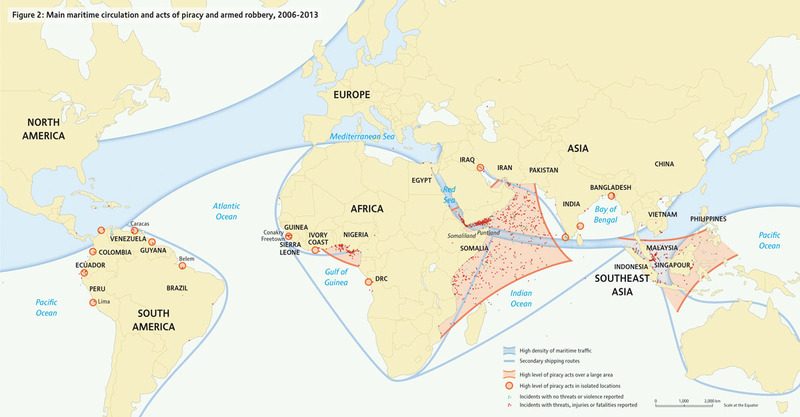 Bockmann and A Katz “Shooting to Kill Pirates Risks Blackwater Moment.” (2012), highlights the possible killing of a pirate from the deck of the Avocet. As part of the discussion in one of the chapters I focussed on the part played by Private Armed Security on board commercial maritime vessels off the coast of Somalia. During my research I spoke to a member of one of the security companies working in the area. He described to me what he termed as an ‘atrocity’ at sea where suspected Somali pirates were being killed long before they became a threat to any vessel. To my knowledge there is no follow up on these incidents by either the shipping companies or the security companies or any of the flag states of the vessels. To my mind these are little more than extra-judicial killings happening at sea. I am making enquiries to see if anyone knows or has information about any group or groups investigating these incidents. Any information you have would be most helpful.